Nassau, Bahamas - The congregation of St. Andrew's Presbyterian Kirk packed the historic church June 6 to welcome a new minister, celebrate the church's bicentennial anniversary and witness the raising of the Bahamian flag, marking the move from the Church of Scotland to independent governance. It was the first time in 200 years that the blue, gold and black of the national flag flew above the high steeple where the familiar blue and white flag of Scotland had flown since 1810. Churchgoers filled the sanctuary -- elders, regulars and those who attend less frequently -- to witness the stirring flag ceremony, a symbol of independence, and to roll out the welcome mat for the man who will guide them through the recently announced separation from the Church of Scotland. 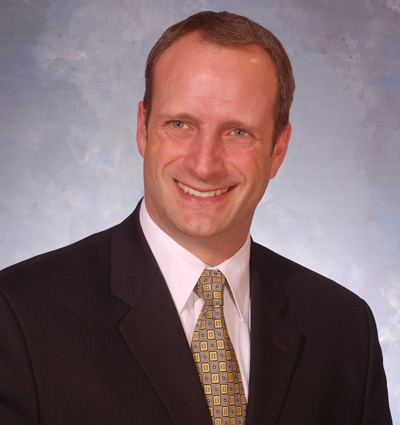 He is Reverend Bryn MacPhail, a former Chairman of the Board for the Renewal Fellowship with the Presbyterian Church in Canada, and who, for the past eight years, has served as senior pastor of St. Giles Kingsway Presbyterian Church in Toronto. It was a triple celebration for the religious organisation, a stalwart of independent thinking since it was founded in 1810 by Scottish ex-patriots living in The Bahamas. For 200 years, with its Scots flag flying and its black wrought-iron pineapple railing a constant reminder of the wonder of architectural detail, the block long structure -- one of Nassau's most enduring symbols --has been a staple on every taxi and surrey tour. It is unquestionably one of the most photographed sites in the city. But it is what the church stands for and the new minister who will help helm through uncharted waters that drew near record numbers to the recent services. "The induction of our new minister, Reverend McPhail, as we celebrate our 200th anniversary and embark on a new path of independent governance has imbued members of the one of the oldest congregations in The Bahamas with a new enthusiasm and a sense of spiritual renewal," said a church spokesperson. "For a church that was born by Scottish ex-patriots living in The Bahamas in 1810 to have come this far and now reaching out to unite with Lucaya Kirk in Freeport, Grand Bahamas under our the umbrella of the Evangelical Presbyterian Church (EPC), the history is replete and the future is bright." That future links The Kirk (Scottish for church) in Nassau with its sister church, Lucaya Kirk, in Grand Bahama. Both will now come under the Evangelical Presbyterian Church, an interim step on the path of both churches forming the basis of an independent Presbyterian Church of The Bahamas. Once the self-governing Presbyterian Church of The Bahamas is fully established, other churches, including The Kirk of The Pines, a station in Marsh Harbour, Abaco, will be free to join. "The Bahamas has been a free and independent nation for nearly three decades and The Kirk is very much a Bahamian institution," explained the spokesman. "The departure from the Church of Scotland came as a result of natural growth and maturity. " 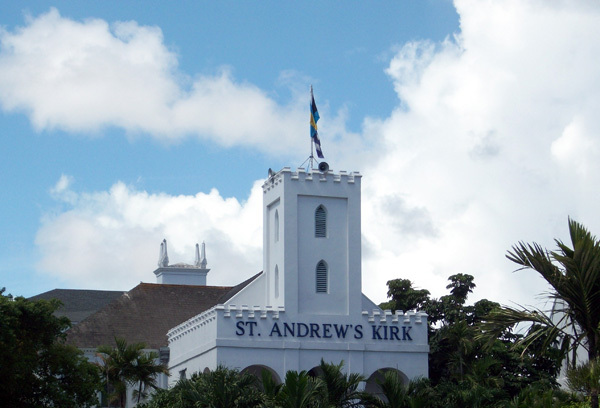 The Church of Scotland accepted the split amicably, and in an official document, commended The Kirk for its service and wished them "God's continuing blessing as they take forward their life and witness in The Bahamas." It was Rev Scott Kirkland of the Lucaya Kirk who served in the delicate capacity of taking the message of the Bahamian Kirks to Scotland. Kirkland also lent his time to the Nassau Kirk as it conducted a search for a new minister. That search led The Kirk to Rev MacPhail. With an education seeped in church traditions of the church, Rev MacPhail proved himself a passionate speaker on icons of the Presbyterian Church when he delivered sermons as a visiting minister prior to taking up his full-time position. He arrived in Nassau last week with wife, Allie, a registered family and marriage therapist, and their 7-year-old daughter, Anya.